TODAY: winds down to Force 8 Dover Strait, still long delays Dover-Calais ferry services. The French Ecotaxe truck toll system has been suspended indefinitely, and with it – presumably – the highway go-slows planned for next week. German police find a huge haul of heroin in a pickle truck. 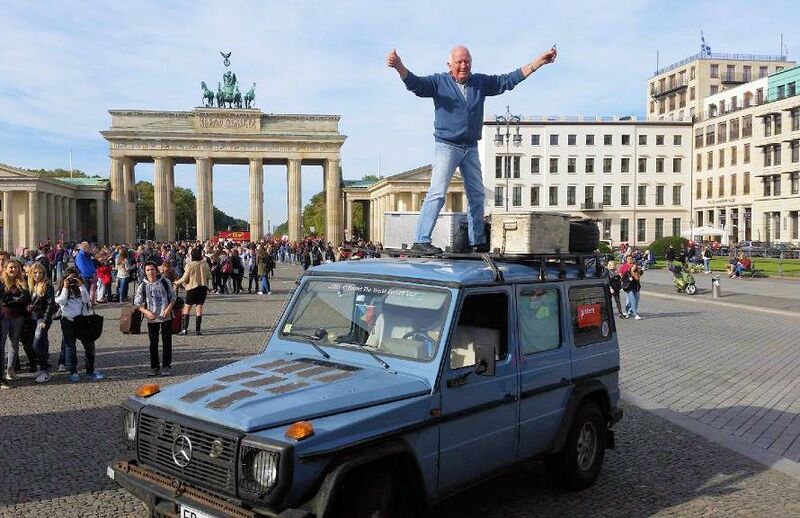 Otto returns to Berlin after a 900,000km global road trip. Road works and long diversion coastbound A2 at Canterbury for nine weeks, recommended to take M20 to Dover. Fine-free week in Belgium, minor traffic offences to be let off with a warning (might have now finished..). Calais Migrant Crisis: Calais ‘Day of Action’ Monday 13 October. CHANNEL DELAYS: P&O Dover-Calais delay 2h00. DFDS Dover-Calais/Dunkirk delays 2h00. MyFerryLink Dover-Calais, expected delay down to 20mins. Condor Ferries Weymouth-Channel Islands-Weymouth cancelled, weather. WEATHER ALERT: Amber alert heavy rain Portugal + north west Italy coast. WEATHER: settled central + East. Fine Mediterranean. Rain France, Spain. GOTTHARD TUNNEL: now no queues. MAJOR TRAFFIC DELAYS: A1 northbound from Paris, road works Senlis delay 45mins. A15 westbound from Paris, accident at Cergy delay 1h10. A2 northbound s’Hertogenbosch, earlier accident, delay 60mins. A81 northbound Heilbronn, road works, delay down to 50mins. A92 eastbound from Munich, road works at Landshut delay 1h40. A10 eastbound to Genoa, road works at Arenzano, accident, closed, delay up to 2h00. Earlier: A5 southbound Karlsruhe-Basel, lane closed Baden Baden, delay down to 20mins. A96 northbound to Memmingen, road works Leutkirch delay down to 10mins. roundup: GERMANY. A massive 330kg of heroin has been found in a truck otherwise loaded with pickled garlic and cucumbers. The vehicle was stopped in Essen on 22 September after driving from Iran. In the whole of 2013 just 270kg of the drug was discovered. BULGARIA. The deputy PM of the caretaker government has called for a road toll system though it is not clear if she means just for trucks, or all vehicles. Foreign drivers currently have to buy a vignette costing €5 per week for cars or from €7 per day for trucks. ‘Manufacturer commercial CGI reaching new levels of idiocy. 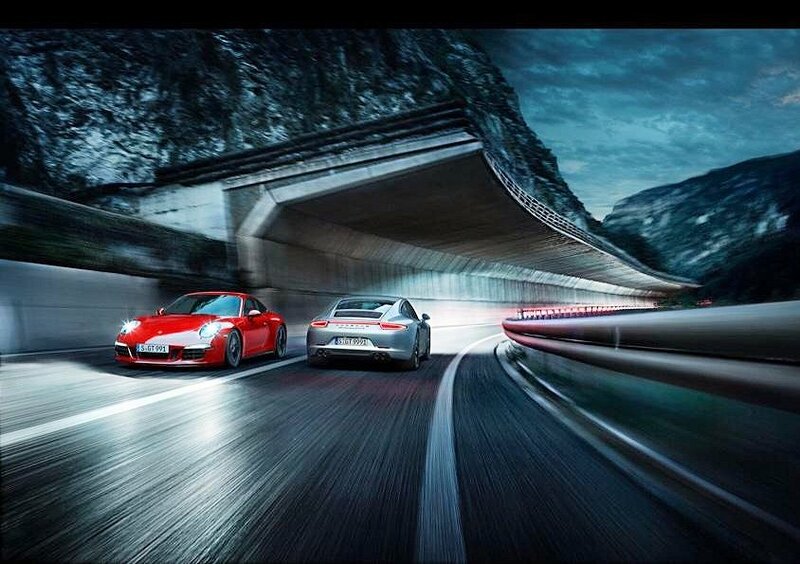 I suppose the red car’s reversing in this impossible image?’ complains EVO magazine photographer @evoDeanSmith.